Each new US plan to rescue something from its failed war in Syria has led to further humiliation for the imperialists. 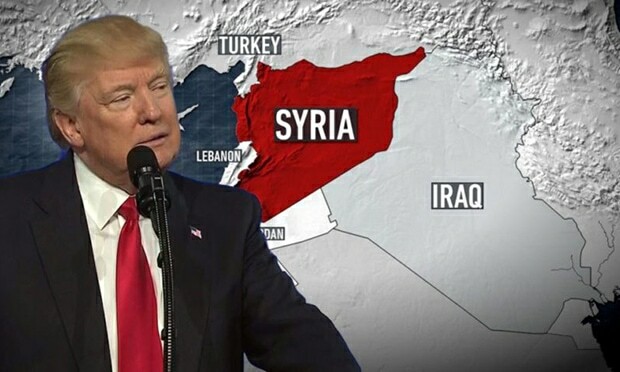 US imperialism cannot bring itself to recognise that the game is up on its seven years’ dirty war of subversion against the independent and progressive Arab nation of Syria, led by President Bashar al-Assad, and that its ultimate goal of regime change is not attainable. Instead, Washington is making last ditch efforts to manipulate events to its advantage. By using the Kurdish People’s Protection Units (YPG, an armed nationalist group) as a stalking horse for its covert policy of plunder and annexation, the US has enraged Turkey, a member of the US-led Nato alliance and a key regional ally in the Syrian war. For its part, Turkey considers the YPG to be an extension of the Kurdistan Workers’ Party (PKK), which represents the national aspirations of the oppressed Kurdish minority in Turkey. Governments in Ankara have been waging a vicious war of suppression against the PKK for decades and President Erdogan considers Kurdish nationalism to be Turkey’s public enemy number one. Washington’s attempt to ride two horses at the same time pleases neither Turkey nor the Kurds and is serving only to further isolate the US. 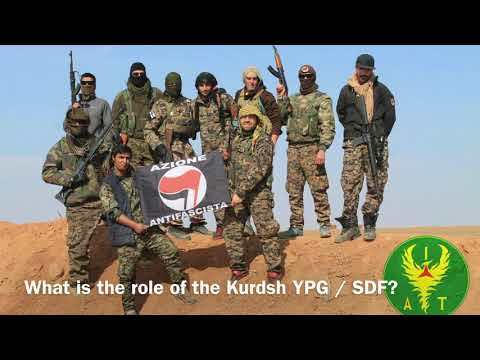 First the US talked up a grandiose scheme to raise and arm a 30,000 strong ‘border force’, apparently to be composed of a combination of YPG forces and ‘moderate Syrian rebels’ (a mythical group that has failed to materialise in seven years of war) and known collectively as the Syrian Democratic Forces (SDF). The announcement of this plan predictably enraged the Turkish government. The then US secretary of state Rex Tillerson quickly rowed back from these plans, but, what with the US having already flooded the region with high-tech armaments, the damage was already done as far as Erdogan’s government was concerned, and in January Ankara responded by launching Operation Olive Branch, a military campaign against the YPG in the Afrin area of northern Syria. Meanwhile the US, realising that it could not afford to provoke its Turkish ally further, and that the balkanisation of Syria would have to be achieved by some other means, having carelessly exposed its Kurdish proteges to brutal assault by the Turkish army and its accompanying band of so-called ‘Free Syrian Army’ cutthroats, left them to sink or swim. Consequently, the YPG militia in Afrin were left to fend for themselves as the Turkish bombs started to fall. With its dream of riding to a ‘free Kurdistan’ on Syrian soil courtesy of American arms and money dead in the water, the YPG had little option left but to go under or to ask the Syrian government for help in defending Afrin from the Turkish siege. President Assad responded, and, on 21 February, the YPG welcomed units of the Syrian National Defence Force (a part of the patriotic government forces) into the town. This is a new and dread spectre for imperialism – a relationship between Damascus and the YPG – and it has come about all thanks to America’s own meddling! Worse was to come for imperialism when reports emerged of a mass exodus of the ‘Syrian Democratic Forces’ (ie, Kurdish nationalist) militia from where they were fighting under US direction against Daesh (aka Islamic State) in Syria’s eastern city of Deir Ezzor. Heeding the call of their besieged brothers in Afrin, many Kurdish fighters in the US’s proxy army simply abandoned their embedded US military ‘advisers’ and headed north to join the fight there instead. This leaves the ‘embedded advisers’ looking very stupid. The official purpose of the US/SDF operation in Deir Ezzor was to mop up the ‘last remnants’ of Daesh in the Euphrates valley, but this was only ever a flimsy cover for the real purpose: shoring up the US military presence in Syria so as to secure control of the oil wealth of the region. Having Syrian Kurds onside gave an appearance of local colour to the attempted US land grab; now that many of these have left for Afrin to join pro-government forces in a joint resistance against Turkish aggression, the US military intervention is bereft of a fig leaf – and very low also on boots on the ground. It was Washington’s eagerness to equip the SDF with modern weaponry, to declare the creation of a Kurdish ‘border force’ and to flatter Kurdish dreams of an independent Kurdish statelet in Syria (the so-called Democratic Federation of Northern Syria, also known as ‘Rojava’) that is now backfiring so badly. As a Russian security council spokesman noted: “The Kurds are being boosted with advanced weaponry. The deliveries of modern weapons and the encouragement of separatist sentiments among the Kurds have in fact provoked Turkey into carrying out the military operation in Syria’s northern Afrin region.” (US gave Kurds modern arms, made Turkey launch Afrin op – Russian security council, RT, 1 March 2018). By precipitating Turkish aggression, the US’s flat-footed policy now risks deepening the split between Washington and Ankara (which was not best pleased to see the local Afrin militia reinforced by seasoned and well-armed SDF troops), compromising the US mission in Deir Ezzor governorate, and even pushing a significant section of the SDF into making common cause with Syrian patriotic forces. The western media is barely covering events in Afrin. 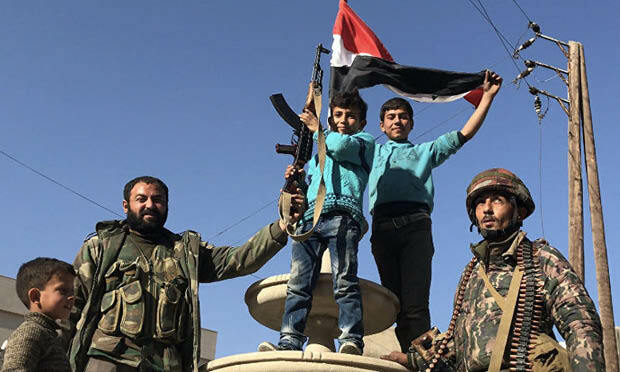 Instead, it has focused on the Syrian Arab Army’s campaign to liberate the occupied Damascus suburb of eastern Ghouta from jihadist groups, including Jaysh al-Islam (a Saudi-backed fundamentalist salafist terror gang), which has controlled Ghouta since 2012, imposing sharia law, terrorising the inhabitants and stopping them from leaving. Effectively using the people of Ghouta as human shields, these jihadis are now launching as many as 80 mortar attacks a day upon the rest of Damascus, which is under Syrian government control, resulting in indiscriminate and serious casualties and damage to infrastructure. The Russian embassy and trade centre have also been hit. In trying to defeat the jihadis, the government is confronted with the human problem of protecting the people of Ghouta. As in other cities, the need to protect the trapped civilians has hampered the ability of the government’s forces to operate freely, drawing the siege out for far longer than the terrorists could otherwise maintain it for. The US turned to the United Nations, using Kuwait and Sweden to table a resolution nominally about declaring another ceasefire in Ghouta, but in reality chiefly concerned with demonising the Syrian and Russian governments for the umpteenth time. Russia did not veto the resolution, but managed by astute diplomacy to strip out enough of the prejudicial slander to turn this sow’s ear into a workable document. Accordingly, on 24 February the UN security council unanimously passed the resolution which called for at least thirty consecutive days of ceasefire, ensuring a “durable humanitarian pause” to enable weekly aid deliveries and medical evacuations. Having helped to pass the resolution, Moscow soon made it clear who was, and who was not, serious about implementing it. Moscow and Damascus speedily collaborated and established humanitarian corridors in eastern Ghouta for the evacuation of civilians and the delivery of aid. But, despite the ceasefire, the jihadis continued shelling from eastern Ghouta into Damascus, attacking the supposedly safe zone so that 300 people queueing to leave were prevented by mortar fire. Meanwhile, Sergey Lavrov drew attention to the equal need to guarantee humanitarian access to other areas of the country, including in southern Syria near the Jordanian border, which is currently under occupation by US troops. The UN resolution, whilst predictably dwelling a lot on eastern Ghouta, did make a brief mention of Foua and Kefraya, whose inhabitants have long suffered siege conditions imposed by mercenary jihadis. On 2 March, the Stop the War Coalition (StW) issued an email newsletter, surprising us all with the information that “the world is getting more dangerous”. And what do its authors suppose is the cause of this? Why, Putin of course, and Assad! Contrary to this ‘both as bad as each other’ fairy tale, the fact is that Russia, under growing military threat from Nato, has recognised the need to restore the balance of military power that imperialist aggression has dangerously compromised. 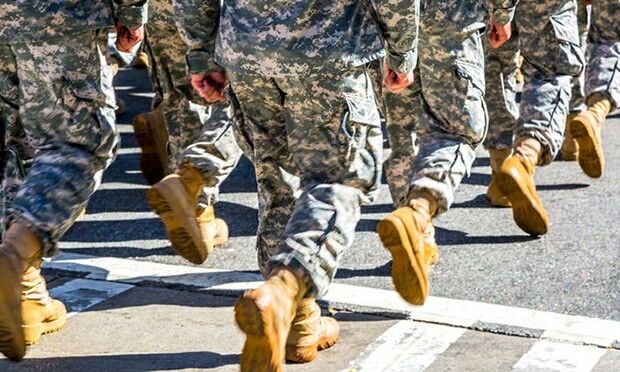 Given the results we have seen in recent decades of rampant and unchecked imperialist aggression in Afghanistan, Iraq, Libya, Syria and more, how is this entirely necessary and defensive measure to be interpreted as making the world a more dangerous place? The recent history of Iraq and Libya, where the renunciation of weapons of mass destruction programmes was followed by invasion and occupation, tells a different story. The surest way to make the world more dangerous is not to resist imperialism. And in Damascus, where for so long eight million citizens have been suffering daily mortar attacks launched by Jaysh al-Islam terrorists holed up in the suburb of eastern Ghouta and taking a dreadful toll of death and destruction, is it not a matter for rejoicing that the Syrian army is at last getting to grips with the situation, and doing so in the most humane way possible given the conditions under which it is obliged to fight in this war of imperialist subversion? How is this responsible for making the world more dangerous? Yes, Stop the War mumbles a few progressive sounding words about Nato expansion and British complicity, but this will not alarm imperialism one jot once the essential message has registered: The world is getting really dangerous! Blame Putin! Blame Assad! And of course … Vote Jeremy! This statement entirely ignores the fact that British foreign policy is dictated by the needs of British imperialism, and those interests are served by predatory wars of plunder and annexation. 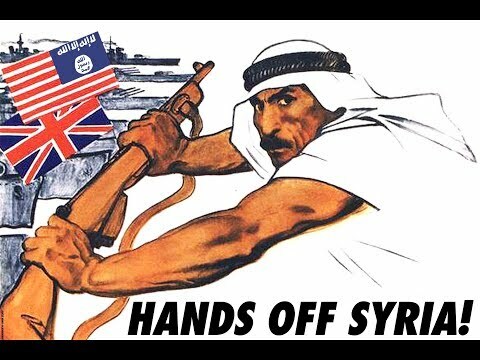 Fundamentally to change British foreign policy, not in a phrase but in reality, means overthrowing imperialism. This will not be achieved with the politics of bourgeois pacifism or social democracy, which only shows its claws when called upon to denounce those whom imperialism has selected for demonisation: that is, when it denounces those who might just be making the world a more dangerous place for imperialism. Meanwhile, Jeremy Corbyn has yet even to get ‘his’ Labour party to scrap Britain’s Trident nuclear programme, for fear that he will upset unions with members who might lose their lucrative skilled jobs. Long ago, at the prompting of our party, the Stop the War Coalition passed a resolution calling for a campaign of non-cooperation with imperialist war. * Instead of merely protesting, the plan was to lead a campaign within the unions to physically stop the war by refusing to fight, make or transport weapons, broadcast war propaganda or contribute in any other way to the war effort. The resolution was passed, put on a shelf and ever since has been ignored by the leadership. That is how Stop the War goes about ‘fundamentally changing British foreign policy’. Meanwhile, we in the CPGB-ML continue to point out that such a non-cooperation campaign is desperately needed, and that the essential prerequisites for mobilising British workers to join it are a concerted campaign to refute imperialist propaganda and the recognition that those fighting on the front lines against ‘our own’ ruling class’s armies are fighting a just war that they deserve to win. And this is not merely a question of fairness: a victory for ‘our own’ ruling classes will strengthen their position as exploiters at home, while the victory of the Syrian patriotic forces will leave our class enemies a little weaker. 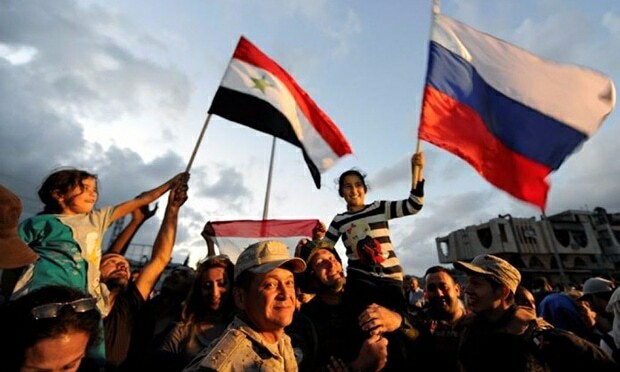 Victory to the Syrian president, government, army and people! * For more on how non-cooperation works, see Downton Abbey, the Jolly George and Stop the War, Proletarian, October 2011. Syria briefing: What’s really going on? If Daesh is truly defeated on the ground in Syria, it is to the eternal credit of the Syrian army and people, not US imperialism and its hirelings. And the more she advances, the harder becomes the imperialists’ task of keeping together the tissue of lies that was woven to justify their barbaric invasion. 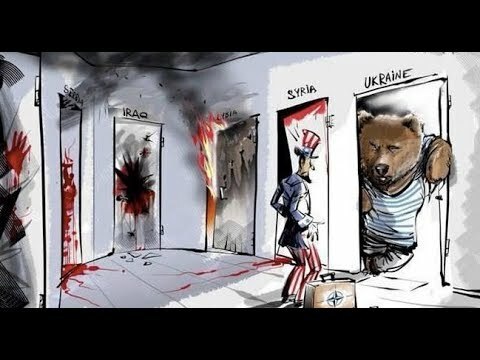 The writing is on the wall: regime-change has failed and US imperialism is heading for the exit. 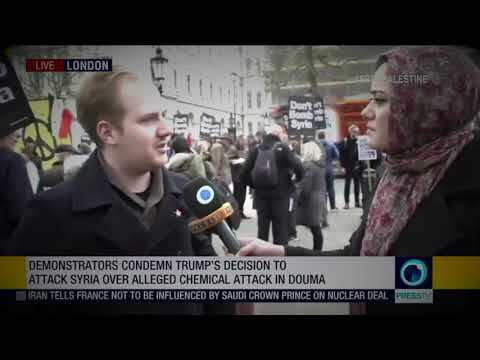 A collective howl of rage from the liberal establishment greeted Trump’s announcement, but whether or not they manage to put the brakes on, the war in Syria is lost. A must-watch video for all those who wish to understand what is behind the inexorable drive towards another cataclysmic world war. Organ theft, staged attacks: UN panel details White Helmets’ criminal activities, while complicit coporate media yawn and look away. Comrade Dan outlines the forces that are driving the system to ever greater war, and explains what is needed if humanity is to stop the war drive. Protesting is only a part of the movement that is needed if we are really to stop imperialist war. 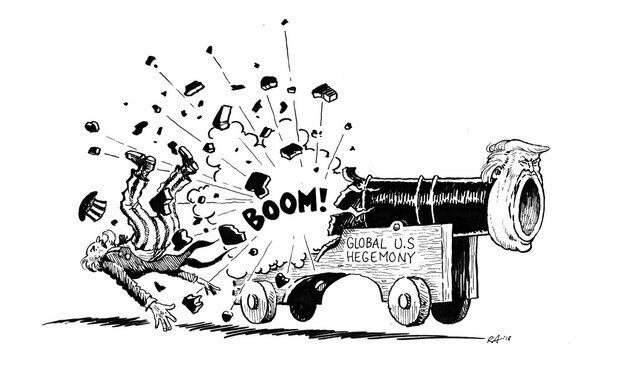 The first condition for building a movement that can stop imperialist war is to expose the imperialist lie machine.